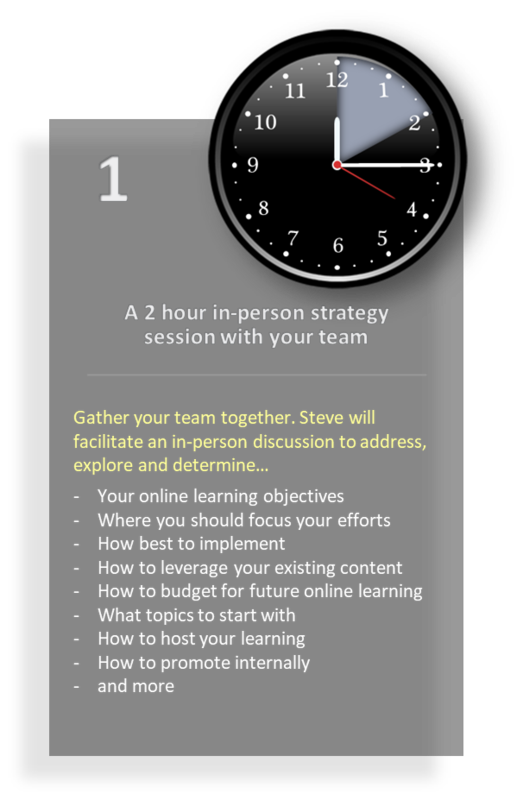 Steve Gluckman is a leading expert in the field of organizational on-demand learning. He has worked with hundreds of organizations across industries to help craft successful approaches to on-demand learning. 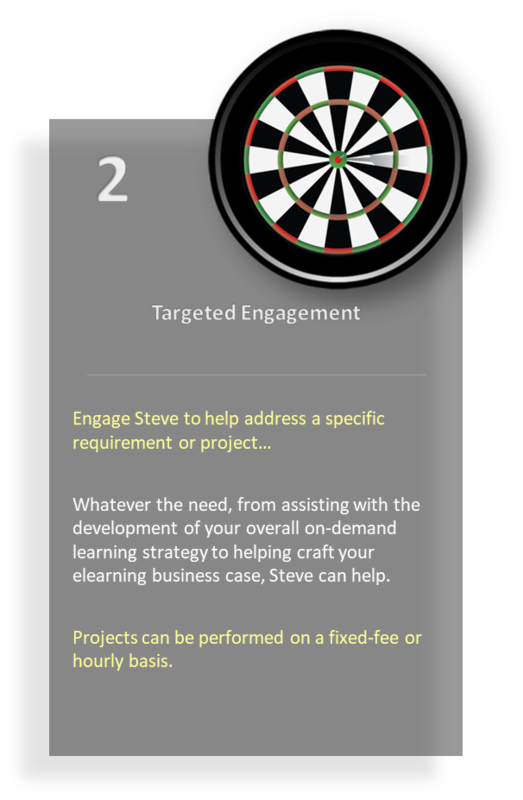 Whether you are just getting started or have a comprehensive on-demand learning library already in place, Steve can help you determine how to make the most of your limited resources.